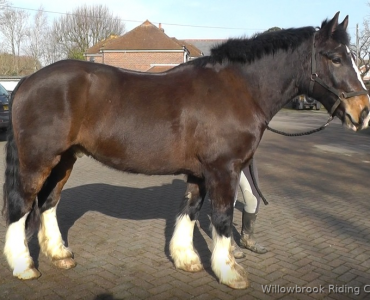 At Willowbrook, we have an excellent selection of horses for sale, and we specialise in confidence giving horses and ponies for all ages and sizes. Most of our horses for sale are Gypsy Cobs (commonly known as cobs or Gypsy Vanners in the USA) which are used in the riding school for lessons and hacking, mostly with novice riders. We’re happy for buyers to spend time trying a horse or pony in every way. The horse stays with us, but you are welcome to hack out, have a lesson, jump, groom and handle the horse until you’re confident it is the right one for you. We’re located 10 minutes from Chichester and Havant along the West Sussex and Hampshire border, so if you live quite far away, we even have an on-site bed and breakfast. All of our beautiful horses for sale are listed below – please give us a call for further information on 01243 572683 or email us at [email protected] If you do not find anything suitable on our horses for sale page, then please review our website periodically as it is always kept up to date! 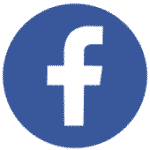 Join our Willowbrook Cobs Facebook group for the latest posts of our horses for sale and cobs for sale. Also, see updates by owners of horses bought from Willowbrook. You can also join our mailing list for updates on when we have new horses for sale. Cobs are a special type of horse. Especially popular in the United Kingdom, their place of origin, these animals may not look particularly like they were bred for the saddle. Some of them, strong and sturdy, with thickly feathered legs, seems more fit to pulling carts and coaches than for the saddle. We prefer to keep our cobs for sale with their traditional feathers. But nothing could be further from the truth. 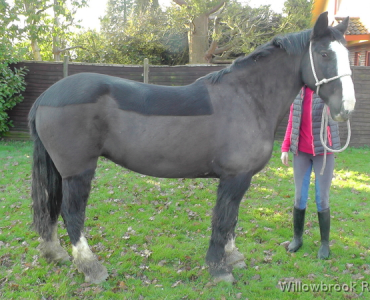 Cobs are an excellent choice for new riders: gentle and calm, dependable and make great confidence giving horses. People new to riding will find good companions in Cobs, as they will be more tolerant than other horses. Children may benefit as well: their calmness makes them a safe choice for the younger riders too. This isn’t to say they are slow or boring rides. Quite the opposite: these horses are as intelligent as they are kind. They will be ready to learn new things and perform in several different situations and conditions while retaining their calm and sweet disposition. 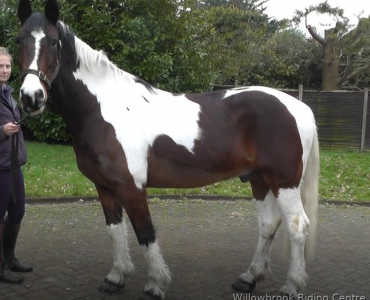 Our Cobs for sale make an excellent choice for people who want the company of a kind, dependable horse that they can learn from, and one they can teach. Riding school horses are a special kind of horse. 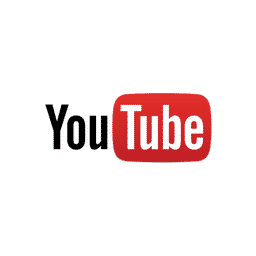 They are an excellent option for people seeking to buy their first horse, or even for experienced horse riders who don’t want to deal with dealing with a new horse all over again. The reason is quite simple. The riding school horse is a veteran itself. Used to teaching and dealing with varying levels of riding skills and various types of riders and riding styles. They’re often also desensitised from things like traffic and other disturbances, making them less likely to spook at random noises and thus, more dependable. Most of our riding school horses for sale are familiar with hacking on country roads. We are situated just down the street from the regional grain storage facility, so we have a large volume of tractors on our surrounding roads. These horses may not be as flashy as a young show horse, but they’re certainly better for new riders and younger people who may not be able to deal with a more spirited animal. Most of our riding school horses for sale will perform their function as a teacher and help guide the new rider in the right direction. Even veteran riders will benefit from a calmer animal that will not need a lot of guidance. The riding school horse will be a good companion for casuals and experience horse riders who are in need of a calm, dependable horse that already knows the ins and outs of the horse-rider relationship. All of our riding school horses for sale are vaccinated, passported, and have had a two-stage vetting (only ones which have officially been used in the riding school. Please ask for more information on this when you call us). Cobs come in a variation of sizes from big ponies, to larger heavyweight cobs ideal for weight carrying horses, or slightly slender types which make brilliant all-rounders. They make great Pony Club and Riding Club horses, and believe it or not, Cob horses are just as adept in the dressage arena. Who remembers the event rider Ben Hobday riding his brilliant Cob Mulry’s Error in a clear round at Badminton 2017? Cobs are sturdy and happy to have a go at everything. They are generally tough heavyweight horses with good feet, strong legs, lots of muscle and less likely to get ill, compared to other breeds. This means they can be considered good weight carrying horse which can cope with harsh weather conditions more than most horse breeds. We are located 10 minutes west of Chichester along the Hampshire and West Sussex border. We have people from all over the country come to see our wonderful horses for sale. If you are from far away, we offer a bed and breakfast on-site. There are many horse transport companies in West Sussex and Hampshire, however, we are willing to transport horses at a reasonable price. For more information on us or our horses for sale, don’t hesitate to get in contact.